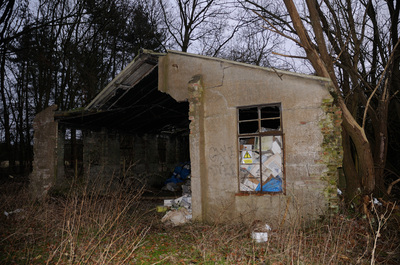 Polebrook was initially laid down as an airfield for the RAF in late 1940 early 1941. 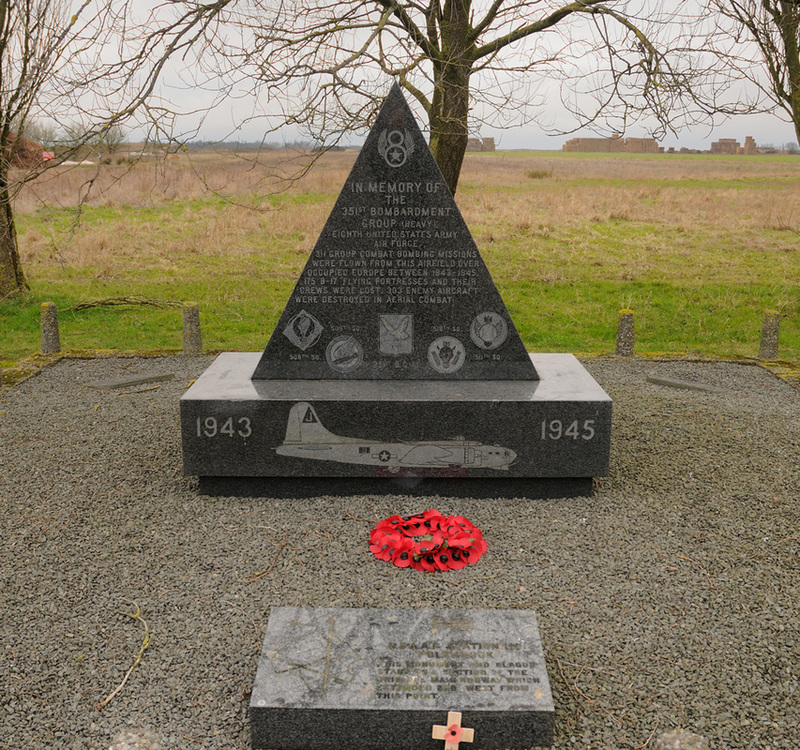 The first squadron to operate from the field was No 90 who were flying Boeing B-17 Flying Fortress I aircraft. The B-17's were not a success and soon ceased operations over Europe. The aircraft suffered with numerous mechanical failures, machine guns that froze at altitude and in general a lack of defensive armament. After the B-17's the RAF had a conversion unit flying Liberators until the summer of 1942 when the field was turned over to the USAAF. Initially Polebrook's runways were considered too short to operate heavily laden bombers and were subsequently lengthened. Three hangars were constructed these being two T.2's and a J Type. 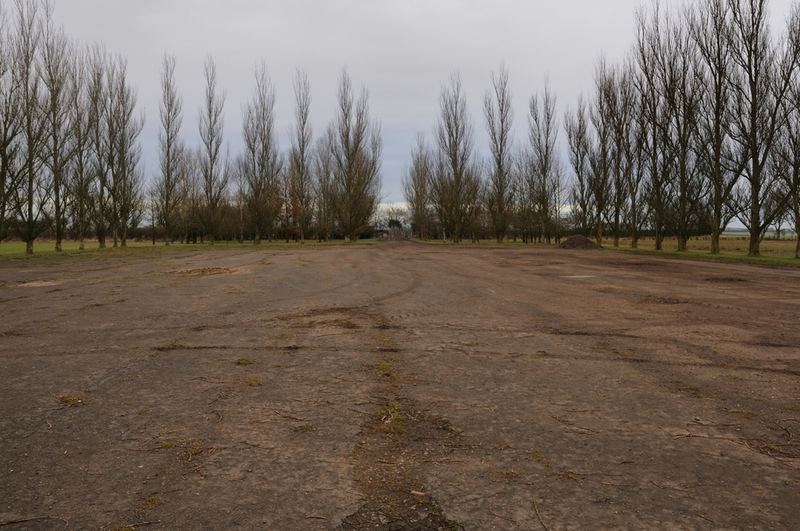 A technical site was constructed on the northern side of the airfield together with numerous hardstandings. 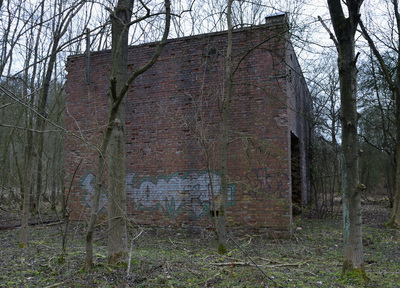 Living and communal areas for 2900 personnel were located in woodland to the north of the airfield. 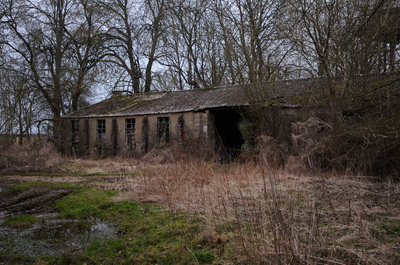 In June 1942 became the headquarters of the 97th Bomb Group. 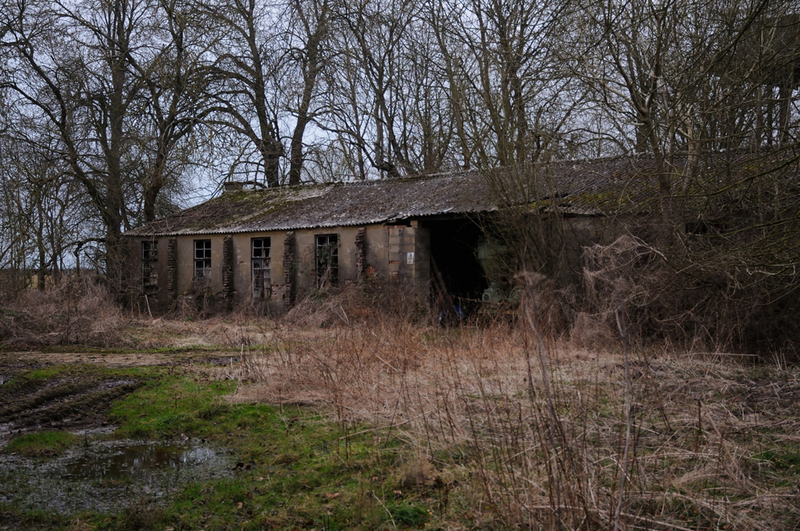 The Group had four squadrons of Boeing B-17E Flying Fortresses on strength, two based at Polebrook (340th & 341st) and two (342nd & 414th) at near by Grafton Underwood. 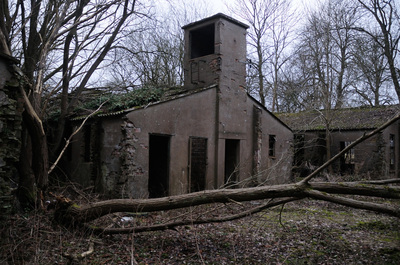 Operations began on 17 August 1942 from Grafton Underwood with the Rouen-Sotteville's railway marshalling yards as the target. Earlier in the day a diversionary raid from Polebrook by six B-17's over the French Coast took place. All Polebrook's aircraft returned although they did not bomb, two B-17s were damaged by anti aircraft fire. These raids were to be the opening of USAAF's European bombing campaign which was to lead to great sacrifices and great loss of aircraft and crews. In October 1945 the 97th were removed from operations and transferred to the Mediterranean. 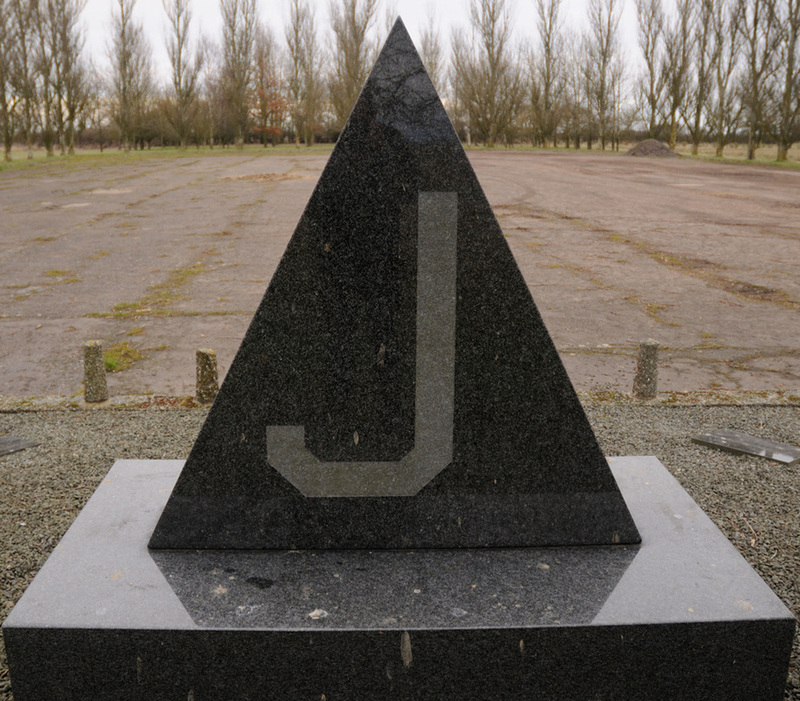 In April 1943 the 351st Bomb Group arrived at Polebrook. 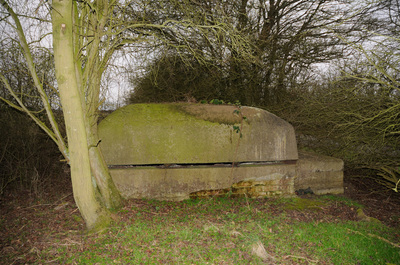 They were to go onto complete 311 operations, during which time the Group won two Distinguished Service Citations, and stayed at Polebrook until the war end. On 20 February 1944 during a raid to Leipzig, a B-17F Ten Horsepower flying from Polebrook was attacked by Luftwaffe fighters. 20mm cannon shells smashed into the B-17's cockpit killing the pilot and knocking the co-pilot unconscious. The crew were ordered to bale out, however, the navigator 1/Lieutenant Walter E Truember and the ball turret gunner Staff Sergeant Archibald Mathies stayed with the aircraft. 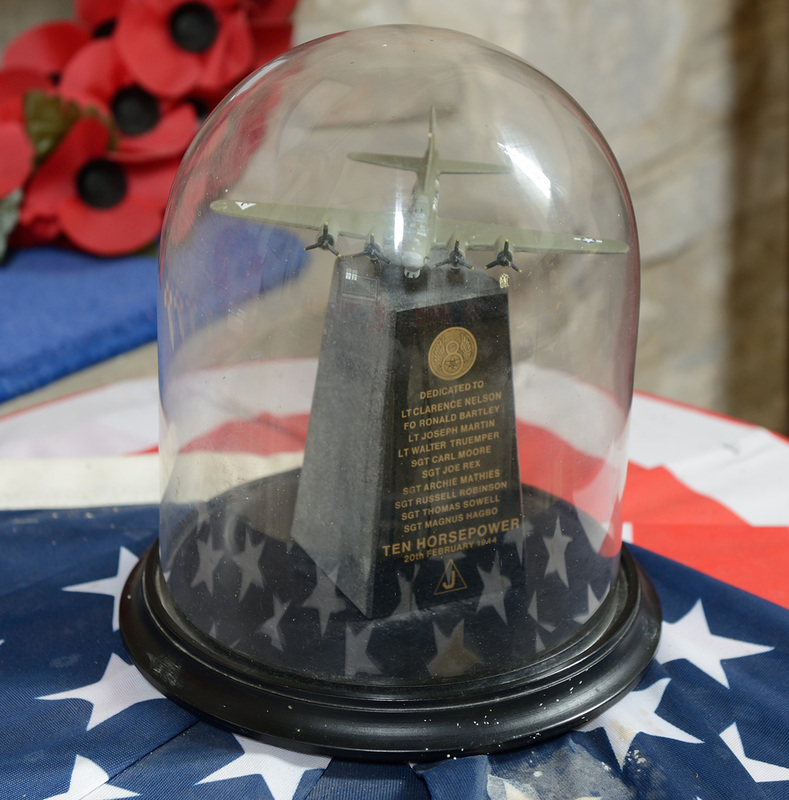 The pair managed to fly the B-17 back to England in freezing conditions due to a smashed windscreen. When they contacted Polebrook they were advised to bale out which they refused to do as the co-pilot was still alive but unable to leave the aircraft. The crew tried to land at Molesworth but were not successful. Another B-17 flown by Colonel Eugene A Romig took off to fly alongside Ten Horsepower and to attempt to guide them down. Three unsuccessful attempts were made to land but the B-17 eventually crashed near Denton. Both the airmen were killed but the co-pilot survived only to die of his injuries shortly after. Truember and Mathies both aged 26 were posthumously awarded the Congressional Medal Of Honor. One of the best factual films about the USAAF's 8th Air Force bombing campaign in Europe was shot whilst flying from Polebrook. Made in 1943 the film starred Clark Gable, he of Gone With The Wind Fame. The film was made to help to train air gunners and also to help encourage recruitment. Gable, then a Major, was a waist gunner. He flew on five combat missions, two of which were with the 303rd Group at Molesworth. The film itself was made whilst Gable flew with the 351st Group. During one mission the B-17 he was flying in was hit fifteen times and his shoe was struck by an anti-aircraft shell. Although made in 1943 the film was not aired to the American public until October 1944. One sequence in the film shows Luftwaffe aircraft at Polebrook with RAF markings. Taken in November 1943, the aircraft a Bf109F, Ju88A-4 and an He111H were part of 1426 (Enemy Aircraft) Flight which were used to provide aircraft recognition duties for allied air and ground crew. One of the aircraft He111 AW177 crashed on this day at Polebrook killing seven people on board and injuring four. 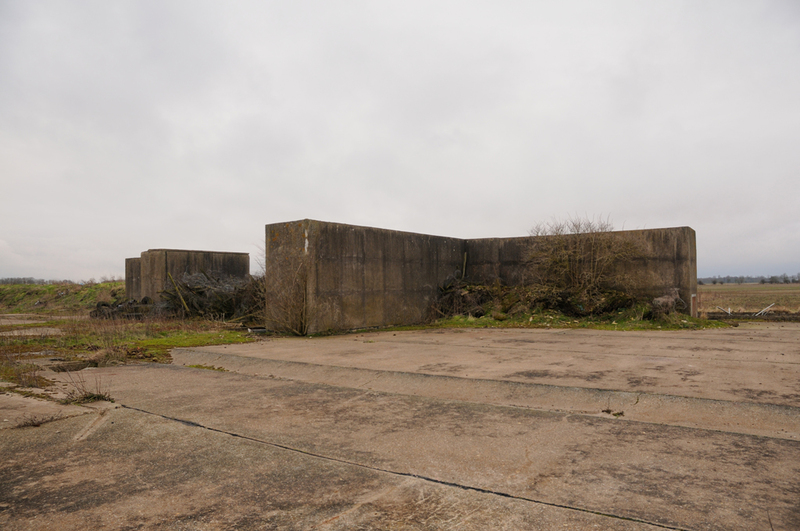 In July 1945 the 351st left Polebrook and the airfield came under RAF Maintenance Command with 275 MU and No 3 Ferry Pool being based at the field. The units stayed at the airfield until 1947 after which time Polebrook became a satellite of RAF Upwood. The airfield was declared inactive in October 1948. In December 1959 a Thor missile site was established at Polebrook with the unit staying until August 1963. The airfield was finally sold off in January 1967.